Gregory | 1001 Movies…Before I Die! In the 1950’s while the majority of Europe was struggling to re-build after World War 2, the United States was going like gangbusters. Everything from the automotive and manufacturing industries, to the housing market, to the film industry was experiencing a general growth spurt. This optimistic, forward-looking outlook on the future is in stark contrast to the over-all worldview of films coming out of war-torn Europe. 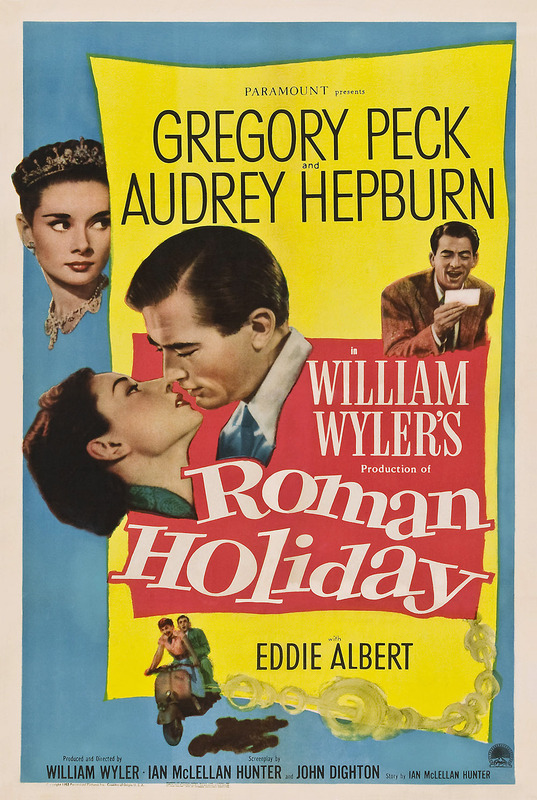 Roman Holiday, set in post-war Rome, is a light and breezy fairy tale of a story. A product of the United States, it paints a very different picture of life in Rome than to the films that came out of the Italian Neo-Realism movement of the same time period. Those films often dealt with the hardships of everyday life. Balancing the need for money, food, and shelter, with the morality and reality of stealing, community-interaction, and poverty. A film like Roman Holiday seems light-years away from this awareness of the dark-side of humanity. 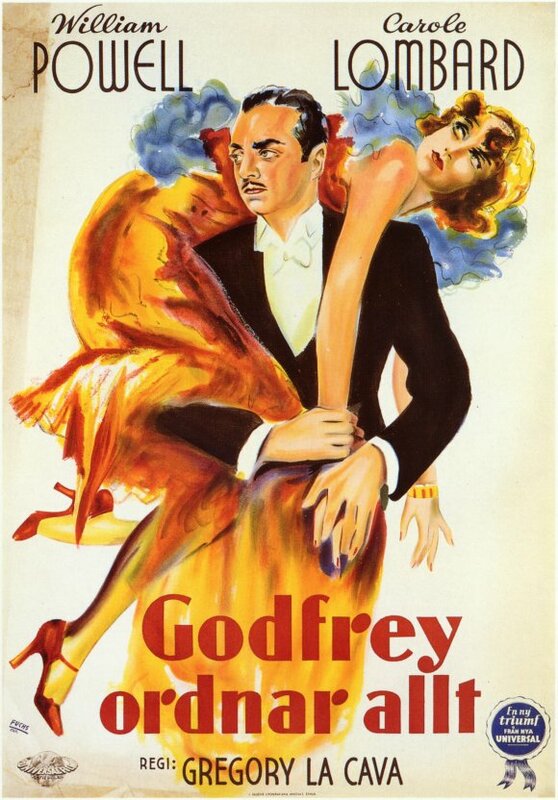 The highest stakes presented in this film have to do with embarrassment, and to a slight degree, greed. The story centers around the rebellious princess of a fictional country, played with verve, and a naive charm by Audrey Hepburn, visiting Rome on a mission of friendship. Gregory Peck plays a down-on-his-luck, two-bit, American reporter looking to get from under the thumb of his cantankerous editor. Looking for adventure, Princess Ann sneaks away from her security detail one night to take in a few of the sights of Rome. Unfortunately for her though, she had been given a sedative before she left, and winds up drowsing off on a park bench. Enter Peck’s Joe Bradley. After a few minutes of trying to get a cab to take her home, he relents and takes her back to his place. Eventually he figures out who she is, and sets in motion a plan to get an exclusive, candid interview from the princess. In order to preserve the ruse that she is undercover, he pretends to simply enjoy her company and offers to show her the sights of the city. Predictably, his feelings for her begin to change as the day goes by, and by the end he is conflicted by the dual draws of monetary stability, and newfound love. Despite presenting a completely different tone, and perspective on the post-war situation in Italy, Roman Holiday remains a rather charming, fun, romantic movie. Mostly thanks to Hepburn’s wide-eyed optimism and energy the film stays engaging and charming, managing to avoid any weighty issues such as the war. In truth we never believe for a minute that these two people won’t hit it off completely, and truthfully that’s okay. More than anything this is a love letter to the city of Rome, and we spend the entirety of the film enjoying it along with our two main characters. Completely worth the watch, but in my opinion, Charade starring Audrey Hepburn, Cary Grant, Walter Matthau, and the city of Paris is a far superior film and more deserving of being on this list. Upon starting this film, I was under the mistaken impression that it was a completely different trial/courtroom movie. Apparently, even though I had already seen it, not to mention the fact that it came out well over 30 years after To Kill a Mockingbird, I was confusing it with the 1996 movie A Time To Kill. While I suppose there are similarities in the central themes of justice and race relations in the south, A Time to Kill, and To Kill A Mockingbird are two very different films. To Kill A Mockingbird, is told entirely through the eyes and experiences of the trial lawyer’s children, Scout and Jem, and is more a tale of decency and acceptance than it is a courtroom pot-boiler. The trial itself only takes up a small portion of the film, yet we can feel it’s influence throughout the entire story. Characters that we meet through the course of the story exemplify the lessons and virtues of the civilized behavior that the Atticus Finch character (the trial lawyer played by Gregory Peck) tries to teach his children. This innocence and down home decency that the story is filtered through does, unfortunately,work against the emotion of the storytelling, and taints it a little bit. Every plot twist and nuance is given a sort of ho-hum, boy howdy, type folksy quality that the story can never quite get beyond. The unwavering goodness of the father figure, played in true 1950’s American style, never seems to get angry, or make a miss-step. The good guys always wear white hats and the bad guys black hats, so they can be easily distinguished from one another. On the plus side, it did function as a rather nice sort of fairy tale, much like one of the American Tall Tales. Only instead of how Paul Bunyan created the Great Lakes or hearing about how Pecos Bill roped a tornado, we learned how the Civil Rights movement quashed racism and bigotry, and how little kids are looked over and protected by the Boo Radleys of the world. Operating on this level, To Kill a Mockingbird is an enjoyable film with just the right amount of heartbreak and joy.